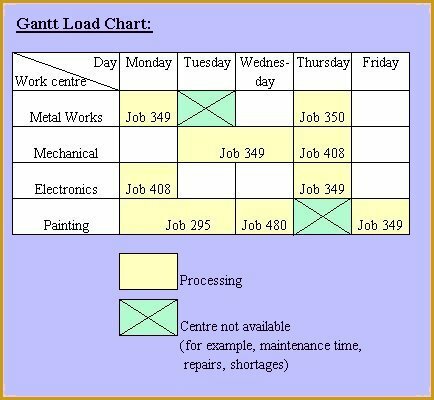 Load Chart depicts the loading and idle times of a group of machines or a list of departments. 3. The white colour box indicates that the work centre will be available. other work, for example, maintenance job, repairs job or shortages. For one, it does not account for production availability such as unexpected breakdowns or human error that require reworking a job.. The chart must also be updated regularly for account for new jobs and revise time estimates.